Data and System Planning (DSP) provides worldwide IT solutions and business operation consultancy taking advantage of its specialised and proven know-how in informatics technologies applied to the shipping industry, port and terminal management and intermodal transportation. In recent years DSP has enlarged its portfolio activities, offering to the market professional services in terminal operations processes and systems deployment with optimisation. DSP’s expertise is also addressed to terminal simulation, automation, reporting and business intelligence, software development, SAP management, locations systems, RDT, Wi-Fi and integration of TOS with different systems like GOS, ERP and Billing. 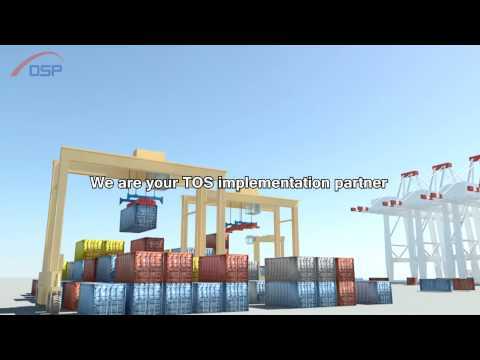 DSP is a NAVIS service solutions implementation partner since 2007 with a certified team of operational experts in container terminals. In January 2016 DSP entered into the Navis N4 Extensions Certification Program, allowing the team to provide system integration, implementation, advanced configuration, go-live and post go-live services and support. The DSP partnership with NAVIS focuses on SPARCS N4 and SPARCS Advanced Applications (Prime Route, Expert Decking and AutoStow) implementation including project management, configuration, training, go live and post go live assistance. DSP has completed over 40 successful TOS projects worldwide: Durban, Haifa, Namibia, Cagliari, Piraeus, Wilhelmshaven, Genoa, Rijeka, Gioia Tauro, Abu Dhabi, PD Ports, Caucedo, Manila, Poti, London Gateway, Trieste, Hong Kong, Le Havre, Maaskvlate, Lazaro Cardenas.